Defiant Developments’ upcoming RPG board game hybrid, Hand of Fate 2, will be released for the Nintendo Switch in two weeks time on 17 July 2018. 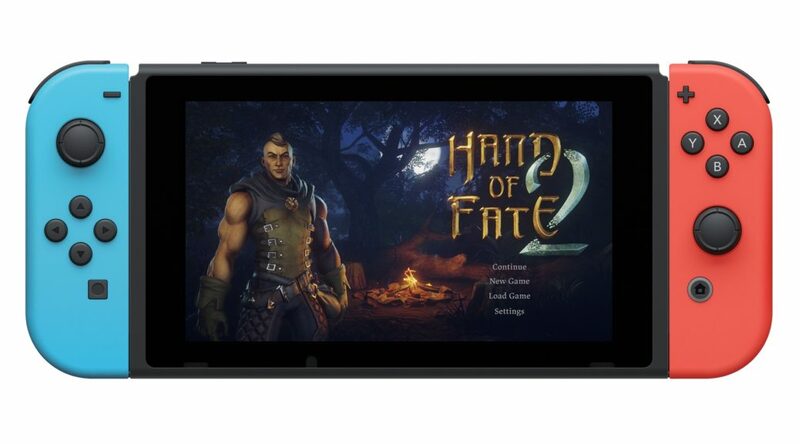 BRISBANE, QUEENSLAND – July 9, 2018 – Hand of Fate 2, the acclaimed action RPG from Defiant Development, will deal out a Nintendo Switch™ release on July 17, 2018. Collect cards and build a customizable deck of equipment, enemies, encounters, loot, and surprises that will be shuffled in with the Dealer’s own challenges. Once combined, cards are laid out into a dungeon floor for players to navigate. Each card presents obstacles to overcome, including action-packed hack-and-slash combat, precarious exploration, high-risk high-reward minigames as well as Dungeons and Dragons-style storytelling and decision making. The original Hand of Fate has been downloaded more than 2.5 million times since its debut in 2015. The award-winning sequel pits a brand-new hero against the series’ enigmatic antagonist, the Dealer, as he seeks revenge following his dramatic defeat at the climax of the first game. The sequel sports a variety of upgrades over the original title, such as an overworld map where each location presents new challenges, new tabletop minigames, companions (including the Dealer himself) with unique side-quests that provide assistance both in battle and perks outside, more robust combat, a deeper story, and an ever-growing supply of new content. The Nintendo Switch™ version will also include all the DLC add-ons that have appeared in the PC release from its November launch through April, with more coming later post-launch. Hand of Fate is available now via PlayStation 4, Xbox One, and Steam for $29.99 USD / €24.99 / $29.99 AUD and supports English, French, Italian, German, Spanish, Brazilian Portuguese, Russian, Hungarian, Ukrainian, Japanese, Korean, and Simplified Chinese language options. For more information on Hand of Fate 2 and Defiant Development, visit their official website, check out game’s Steam page, like it on Facebook, or follow the studio on Twitter.